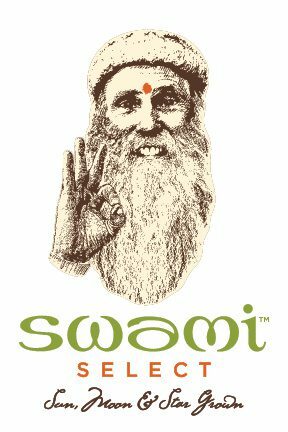 Swami Select is comprised of two people: Swami Chaitanya and Nikki Lastreto. They are known as “The Cannabis Couple” at the heart of the Emerald Triangle in Mendocino, California, and, together, they are co-directors of organic cannabis cultivators, Ganja Ma Gardens Collective. They are also expert judges for sustainable, outdoor, organic marijuana farming competition The Emerald Cup, and have been since its beginnings in 2003. “We met in 1969 in San Francisco – Nikki was a young flower child and native San Franciscan, and Swami (then known as William) was a true hippie who had made the pilgrimage to the west coast in 1967 for the Summer of Love. William, meanwhile, stayed on in India, where he became ‘Swami Chaitanya’ at the Kumbha Mela (a huge religious festival on the banks of the Ganges River) in 1998, taking ancient spiritual vows. In 2003, we reunited to purchase our ranch in the hills of Mendocino County, where we established our cannabis farm, Ganja Ma Gardens, and spiritual sanctuary. Now, we here at Leafwell are very supportive of outdoor, organic, sun-grown marijuana. As well, excellent marijuana can be grown indoors and under lights, the question is, is indoor growing the safest and most legal way of growing in California at the moment? “Technically, cannabis is illegal in India, especially smoking it – unless you are a holy man. Possession of up to a kilo is a 10,000 Rupee (about $150) fine and/or six months in jail, but it is rarely enforced. There are still small shops in Bengal, Orissa and Varanasi that sell bhang, which are little balls made of cannabis which can be eaten or made into a drink. This is especially popular at the spring festival of Holi when whole villages will imbibe. Use of it medically is a local exception, and I imagine still used by a small amount of people.